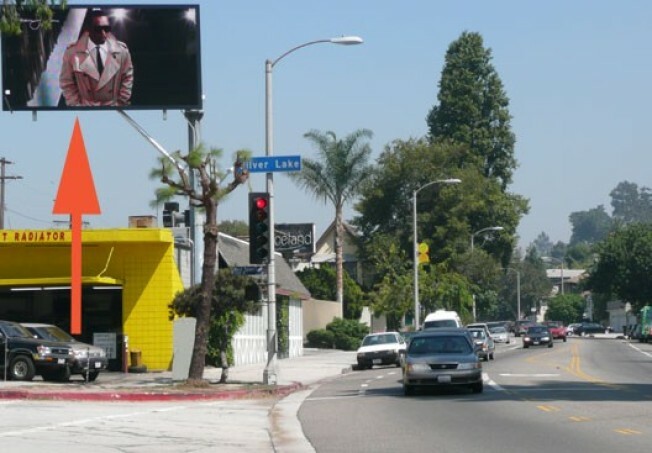 So this is the new electronic billboard (it's at that stop light next to LA Mill) on Silver Lake Boulevard, and yes, as a commenter noted, the Sean John clothing is being pimped out here. The following ads get a bit racier--and the ads change every 3 seconds are so. The collective wrath of those meadow-fighting and bird ball-outraged Silver Lake residents will probably make that thing self-implode shortly.